Throughout the whole of Ancient tradition there have been essential aspects of life that utilised the process of mastership and apprenticeship. The passing on of that knowledge and thus the preservation of the wisdom was kept intact through this very private and intimate association between master and disciple. This applied to all aspects of human existence, whether it was tool making, hunting, fishing, boat building (method of conveyance), growing crops for food and practical use, the herbal medicinal fields of health and healing…the list is endless. In the growth of human evolution and survival of the species there always existed those who have mastered a certain tradition, and the passing on of this wisdom for the sake of preservation to the next generation…and until the onset of the “New Age” this knowledge was kept secret and held traditional to maintain its integrity and purity thus ensuring its essence according to the rules set down for thousands of years. In this “New Age” everything has evolved out of the ancient ways kept strict and without variance into what I like to refer as “variance on a theme”… thus began in my opinion, the disintegration of the fabric of the traditional old ways. We now have a society that one only needs to look at to perceive of this loss of cultural heritage into a chaotic mix of an endless array or “supermarket” of watered down and delusional belief systems, corrupted from bits and pieces of the old ways, that have lost their traditional purity, due to the loss of tribal community and many other reasons, this is the way of things neither negative or positive it just is….the nature of all things, birth, growth, decline, decay, death and rebirth. 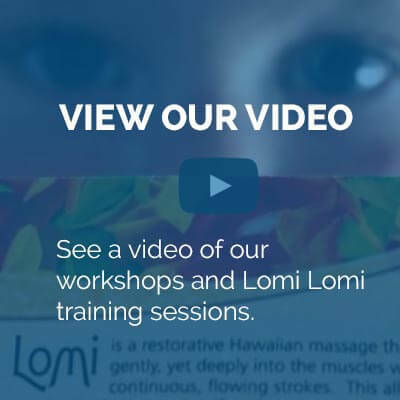 In ancient Polynesia existed the healing practice of Lomi Lomi which means to “knead or to squeeze and to make soft”. There was also the medicinal practices through the use of herbs, plants and the elements, this was called LA.PA.AU. 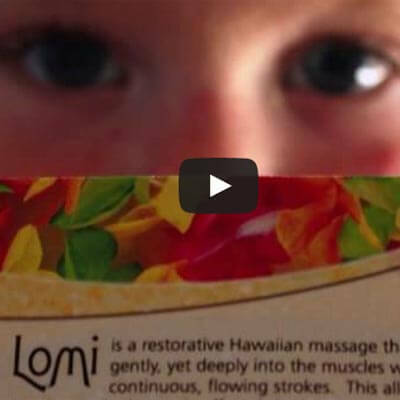 Lomi Lomi began at birth, mothers lomi’d their child from birth, especially the stomach and the feet of the infant, using primarily coconut oil one of the most healing substances on this planet, resulting in extraordinary health and strength. Lomi Lomi in its most traditional aspect was taught and practiced entirely with the open hand “To knead, to squeeze, and to make soft”. One of the most essential imperatives of this tradition is that Lomi Lomi was a modality of pure love. The work must come from the heart and through the hands resulting in healing and bonding at a level beyond comprehension by the mind; it is a movement of pure love and grace, even to observe a “treatment” is to receive it…. This is the way of traditional Lomi Lomi in the old style. I, Sherman Dudoit, now Raman Das, was told at an early age by my grandmother that I was “born with a gift in my hands” and that one day I would be found by a Kahuna and taught in the old ways. Kahuna means “Keeper of the secrets” or simply Master of Tradition. I naturally began this way of life by being drawn to the sick and dying, always wanting to help, always somehow “knowing” that I could help others to feel better, at first just by laying on of hands, later massaging and stroking wherever there was pain. I became known as “the Little Doctor”……this continued, all the way through grade school, and by the time I graduated high school I was the team chiropractor, as this knowledge also manifested naturally and without effort. Upon leaving high school at the 12th grade I left Hawaii for California to pursue spiritual studies and also practical study in several methods of Massage, Reiki, Reflexology and Chiropractic study. During this time I decided to deepen my innate tendency towards spiritual pursuit and entered into six years of strict discipline as a monk of the Self Realization Fellowship Order, founded by Paramahansa Yogananda, who came to America to teach Kriya Yoga “the way of direct union with God through strict meditative practices specifically focusing on the life force in the spine, Kundalini life force.” This resulted in a direct personal illumination, and relationship with what I now call “Source”. 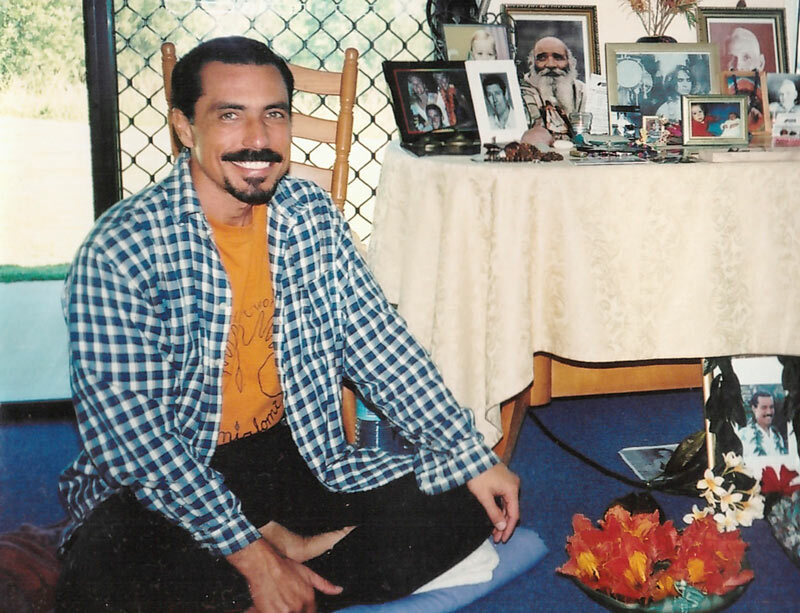 Shortly thereafter I left the Ashram to go out into the world to share “my gifts” which had now become amplified by the years spent in isolation in almost complete daily silence, going deep into the mysteries of life, death and existence beyond that. Shortly thereafter I met my final teacher, a Kahuna from Maui Hawaii who was visiting and working on patients in California. To make a long story short, he said to me “I’ve been waiting for you, if you want to apprentice with me, lets see how fast you can come to Maui.” Three months later I moved to Maui and began my apprenticeship. This was done in the old Traditional way, one on one, strict and no frills attached. It was gruelling, but the lessons learned from the great repository of the “Old School” were invaluable. He trained me in the strict old fashioned way……the way of the open hand, no elbows, no forearms, no dancing around the table……the table is the alter he would say…….treat it as such. It is a sacred space. This apprenticeship was very secretive and lasted almost exactly one year. As his health was rapidly fading, the day finally came as any other day. I came to the clinic and he said to me “today is your last day with me, it’s finished, you know it all and I can teach you no more”. Of course, this came as a complete shock!! Yet I could accept this as I knew this is how it’s done. It broke my heart, yet rebuilt it in a whole new way. I left him that day reborn. So the story goes on endlessly, he passed his blessing onto me, gave me the lineage, and the rest is history, too much to go into in this space… suffice to say that I carried the torch with dignity and honour, travelled all over the world with it for almost 30 years and made the most common mistake of all gifted healers…..I burned out, burnt myself out completely. My health disintegrated from a lifetime of selfless service, giving till the vessel ran dry, then giving some more till the vessel broke. It was overdue to ask Source to provide an apprentice, someone to pass the blessing onwards to and now we come to Dawn Charlton. After 7 years of severe illness and on several occasions near to death, the only thing seriously holding me back from that liberation was the need to pass the work onward to find my apprentice….The quest began….and the telephone rang….It was a woman from Australia who asked me if I would come to teach in the centre she had just built, and being a student from study with me previously I said yes, even though I was still very sick. I began to prepare for the journey, knowing all the while, that the apprentice was there, almost ready. Three courses were arranged and filled up to capacity almost immediately. This woman and former student had done a magnificent job managing the whole venture. Gathering the last bit of strength, supported by her and her group’s prayer circles, I managed to come to Australia. It is thanks to this woman that all of what began here has evolved so beautifully, and in respect for her privacy her name will be kept as such. I bow to her in deepest gratitude. The first time I met Dawn, I knew, well here she is finally. There was an immediate shock in the lower spine and recognition as clear as day. I didn’t meet her till weeks later when she attended the third course and so I watched and waited. Three years later, again I’m pulled out of restoring my health by a phone call from a former organiser, asking if I could teach a group she was bringing to Maui. Being very ill I said I will if I can. Thanks to prayer, I pulled the leaky vessel together and when I came to meet the group, here is Dawn, from Australia! Again, immediate recognition occurred, events transpired and from that point on it was certain. Dawn asked me to come to Australia and teach, which I did or tried to, but the vessel could not manage it anymore, it was done. During the 1st of 3 courses planned my body gave out completely. It was then I became certain that it was time to let go and pass the teaching onto her. With this realisation came such peace and relief, indescribable! flexibility, lack of overblown ego, selfless service, gentleness and genuine innate willingness to give her whole being to this “work”. Also, a very important trait stubbornness and determination to learn and do exactly as taught. It is my honour to have had this life, to pass this onto Dawn, to have observed her carrying this torch with such great strength, integrity and humility. She has touched and healed the lives of so many in need, including my own, and it is through this woman that the tradition given to me continues to shine out into the world. Those who study with her will receive this gift and be blessed, thereby enriching their lives as well as all the lives they touch. I bow to her, I bow to you, prostrations to all of creation. Thank you for reading this, may your heart resonate to this message and your life be a journey straight to Source. The Japanese philosophy “Zen”, Martial Arts and Bushido which means “The Way of the Warrior”, and the Hawaiian/Polynesian culture and traditions. But his true love has always been the study of the “Vedas”, the philosophies of India, namely “Advaita”, the way of non dualism. It is important to note that the essential message of “Advaita”, reveals itself in Traditional Old Style Lomi Lomi. While on pilgrimage to Arunachala, the sacred mountain in South India, where his final teacher or Guru lived his entire life, Sherman Dudoit “died”(ego), and he was given the name Raman Das. In Sanskrit, this name translates to “servant of God”. He now dedicates his life to serving God by introducing people to Ramana Maharshi and the teaching of Advaita. There will come a time when we all must unlearn, all that we have learned, in order for the truth of our real nature to be revealed.